[ print ] [ collection ] Impact crusher and Circular Vibrating Screen are the unit of fine crushing and screening. They compose the Mobile Rock Crusher( fine crushing unit). Mobile Impact Crusher are mainly used in the fine crushing after primary crushing. It is used in crushing Middle--hard and lower abrasive materials. The capacity range of Mobile Impact Crusher is 50—250t/h. The Mobile Rock Crusher(mobile crushing and screening plants) is applied to multistage crush large materials, and then screen the discharges according to their different specifications. The whole set plants is widely used to mine, building material, highway, rail way and hydropower industries, etc., finish crushing and screening operations at one time, produce required size and output for consumers. 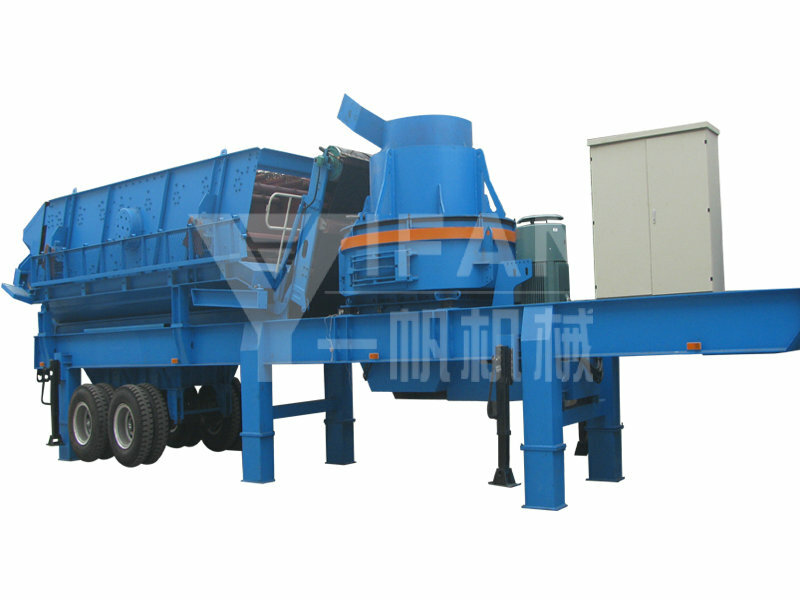 The Mobile Rock Crusher(plants) has the advantage of reasonable matching, unobstructed discharge all line, reliable working, convenient operation, high efficiency and saving energy. Especially the mobility is very good, so it can extend with the raw material places or the construction place, and it can also make multiple matching, get to different product requirements. The Mobile Rock Crusher(mobile crushing and screening plants) is composed of primary crushing and screening station and secondary one, belt conveyor, etc. Every crushing station is an independent working unit, they can respectively assume their different responsibility, and the belt conveyer is responsible for material transmitting and piling up between each crushing station. The design idea for PP Series Portable Crushing and Screening plant is to totally meet the different requirements of mobile crushing function. This can provide a whole new operation mode that greatly decreases the operation cost. Copyright ©2009 Zhengzhou YiFan Machinery Co.,Ltd All rights reserved.